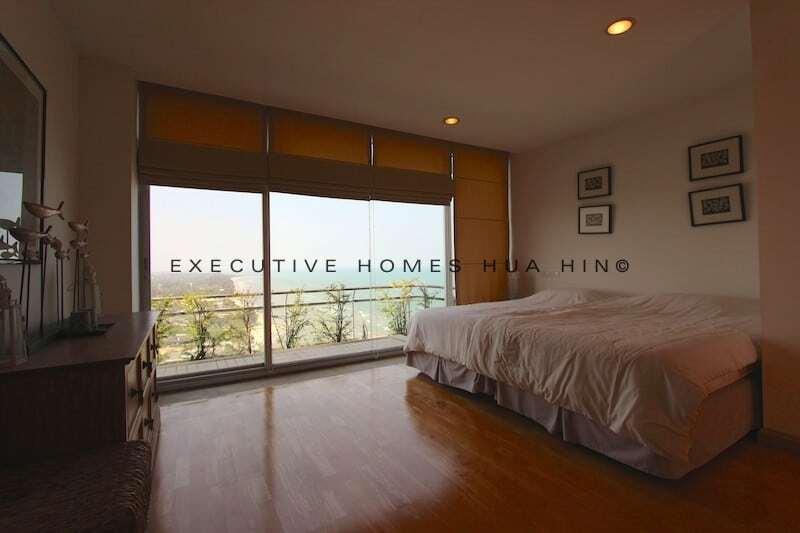 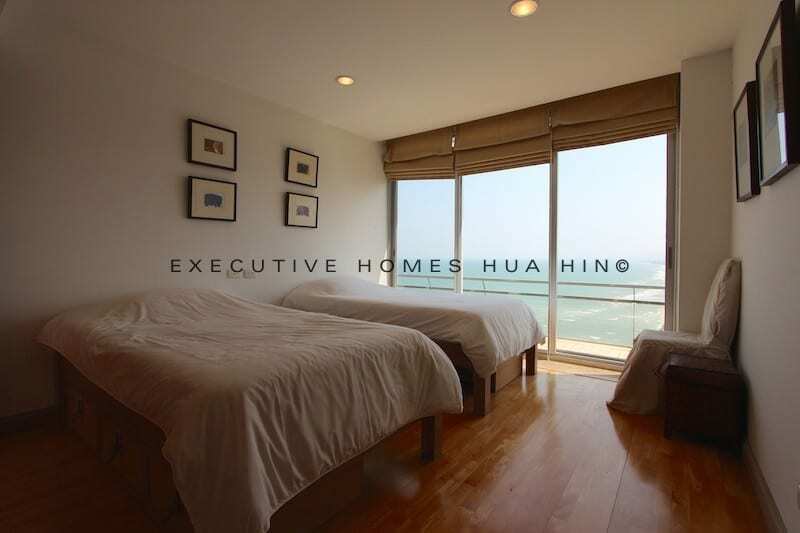 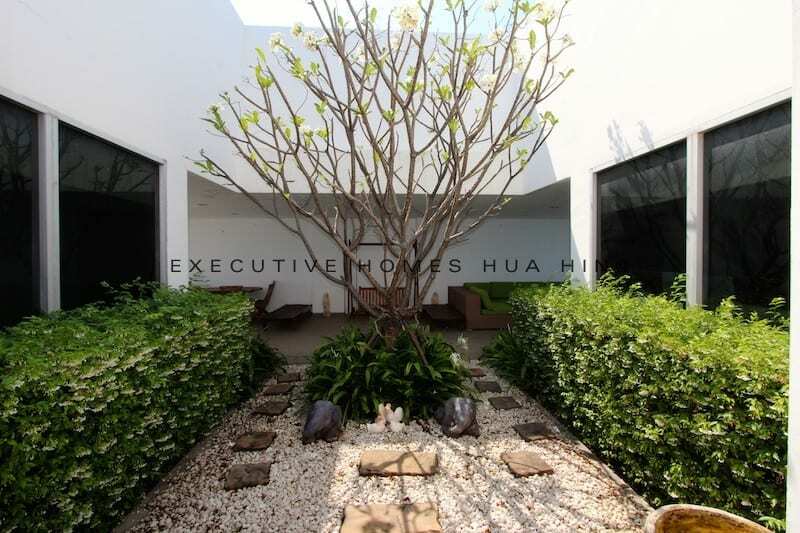 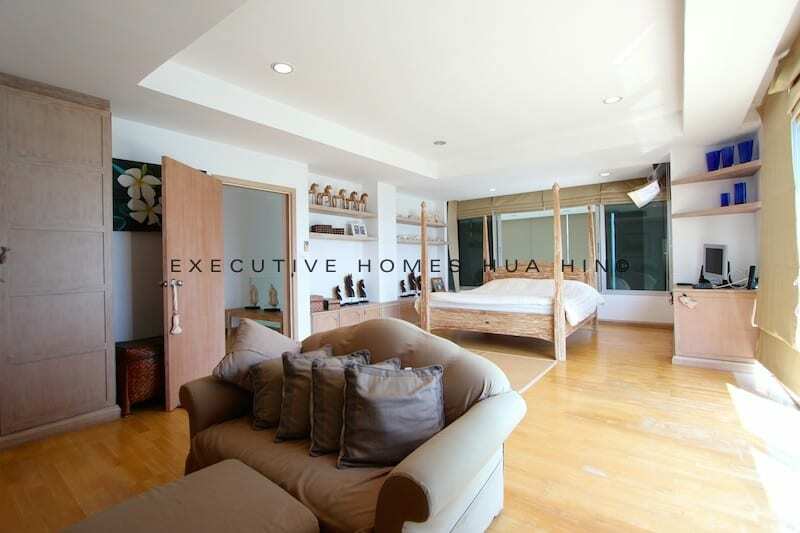 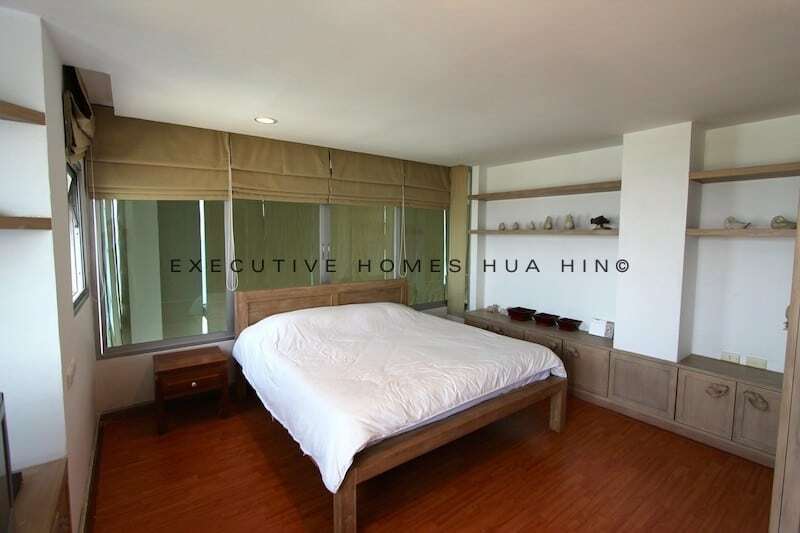 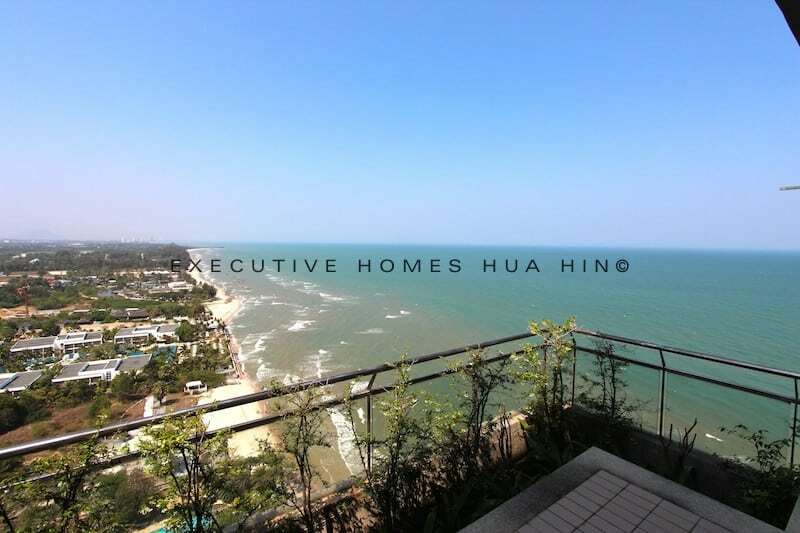 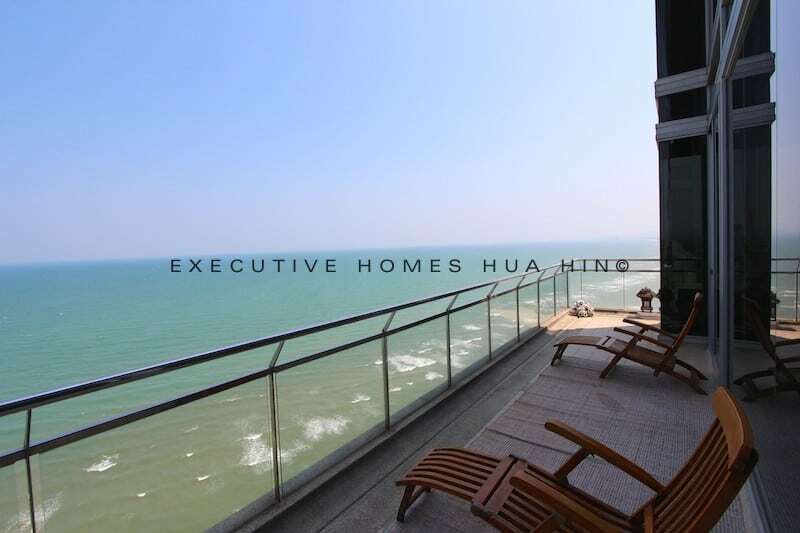 Executive Homes Hua Hin is proud to offer this Stunning HUA HIN PENTHOUSE CONDO FOR RENT. 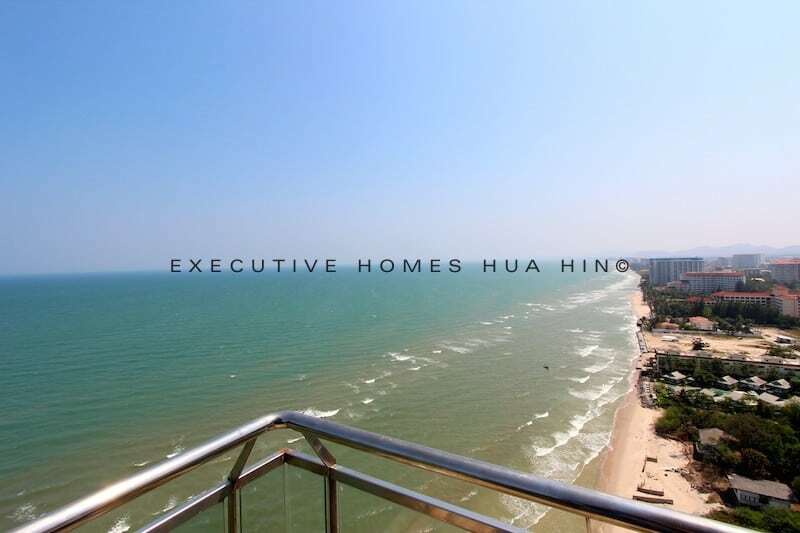 This is possibly the most luxurious condo in all of Hua Hin. 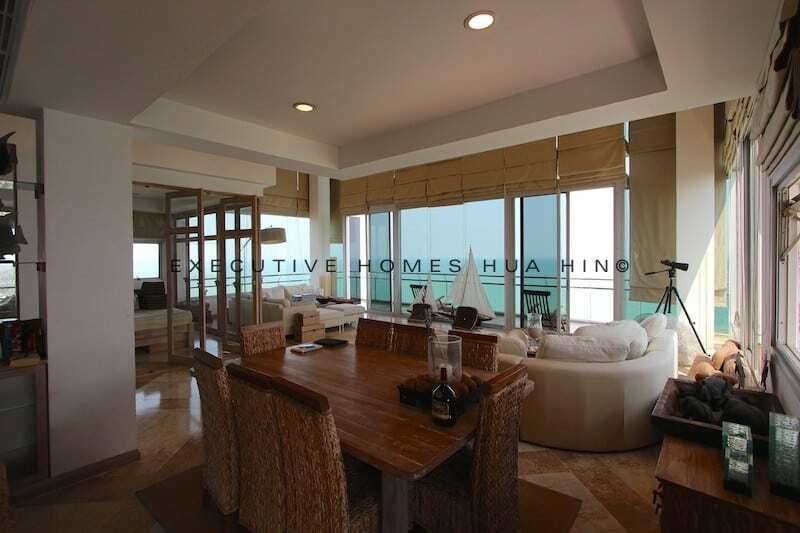 This Penthouse unit over looks the entire Gulf of Siam, with oversized pictures windows from every room in this two story unit. 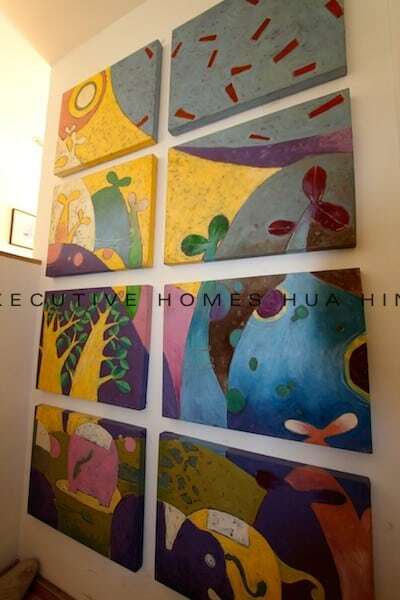 The condo is decorated with original art works, artistic sculptures, and high quality furniture throughout. 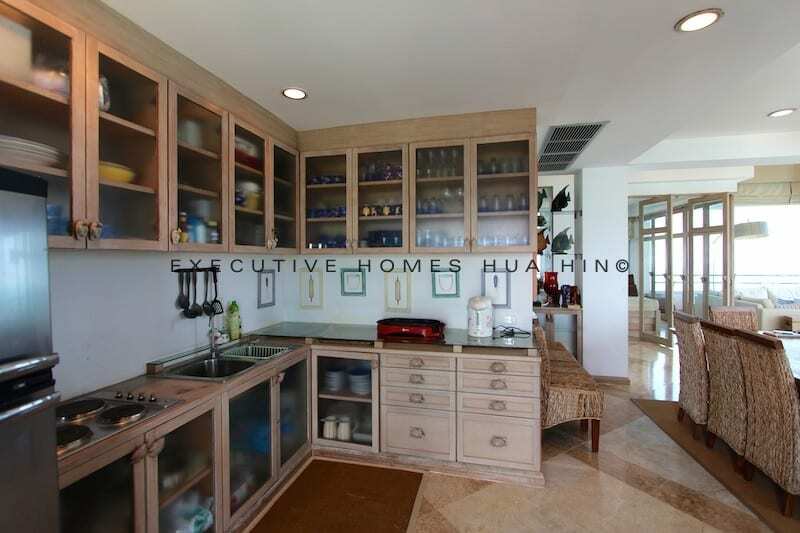 No expense was spared when the owner outfitted this one-of-a-kind condo. 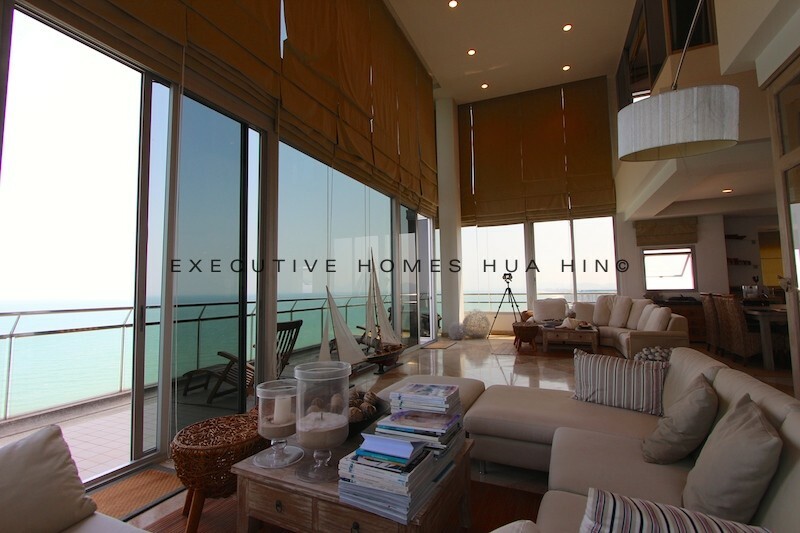 The condo sleeps up to 10 guests, with each en-suite bedroom fitted with a soaking tub overlooking the Gulf of Thailand. 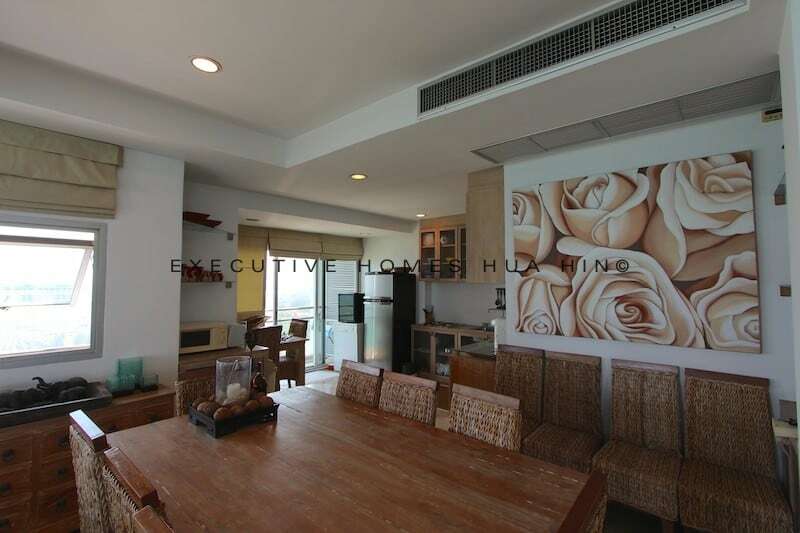 Additionally, there is a private roof top terrace garden, with outside dining table, sofas and large jacuzzi. 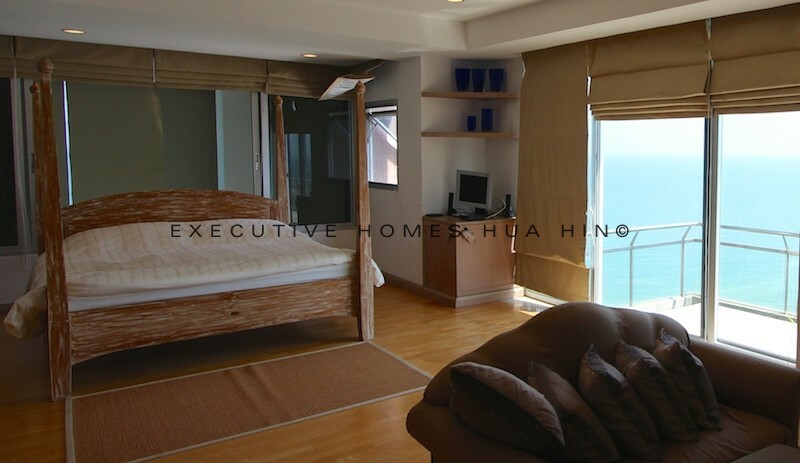 The condo also includes full services, such as high-speed internet, maid service 2x per week and weekly linen refreshed. 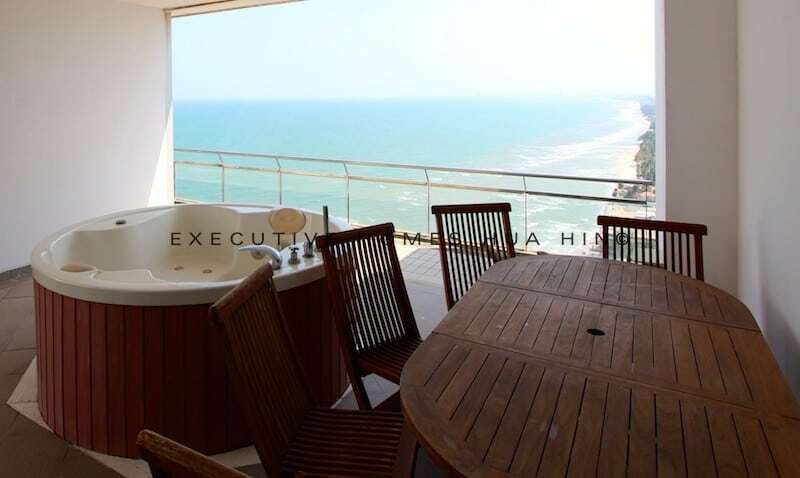 Breakfast can be ordered from the condo services each morning. 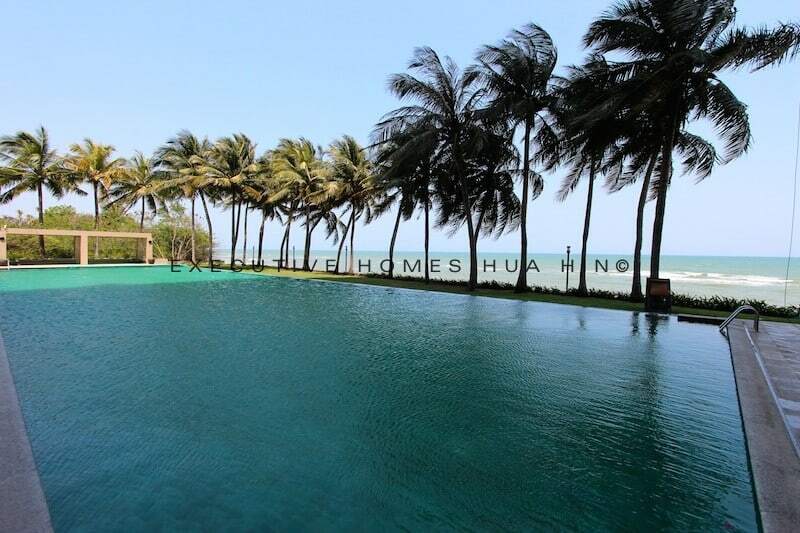 The large communal pool overlooks the beach and ocean. 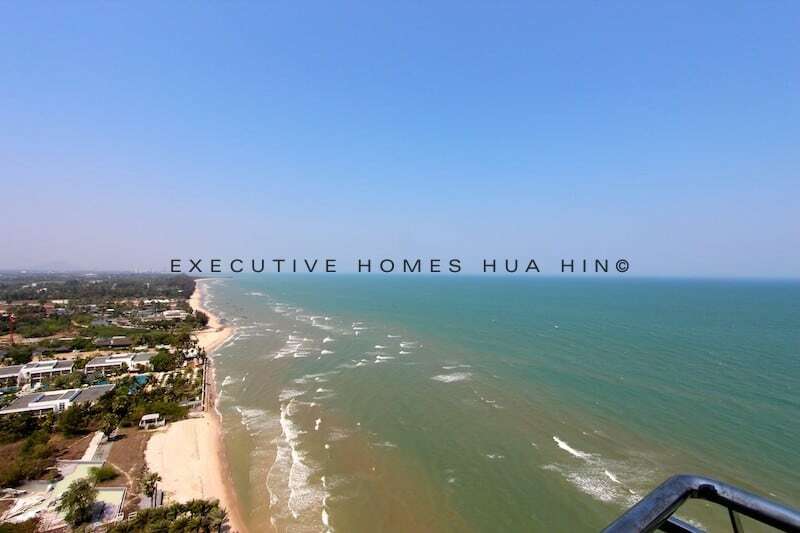 The condo is located only 10 minutes from the center of Hua Hin, and only 2-3 minutes from luxury shopping and high-end restaurants at the Venezia entertainment center. 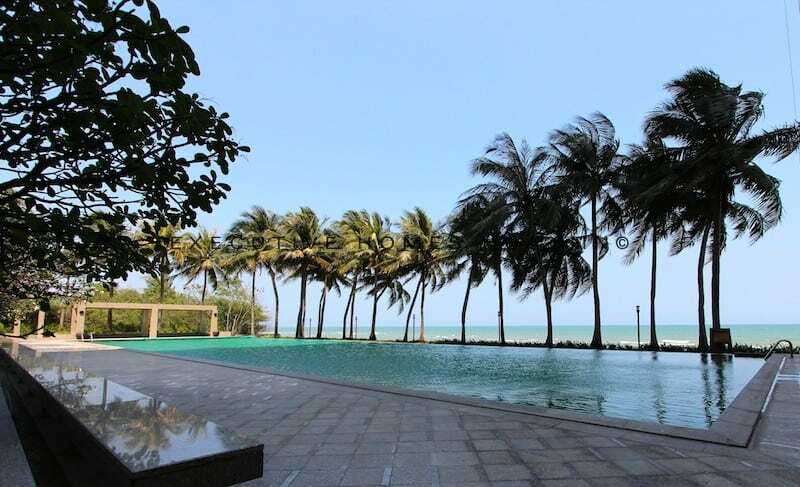 Daily: 25000 Baht/ month (included Electricity and Water) with minimal 2 consecutive days stay. 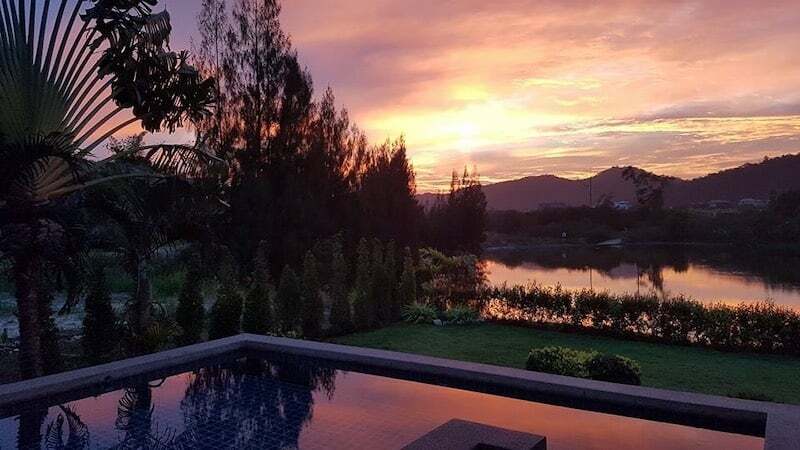 Daily: 30,000 Baht/ month (included Electricity and Water) with minimal 2 consecutive days stay. 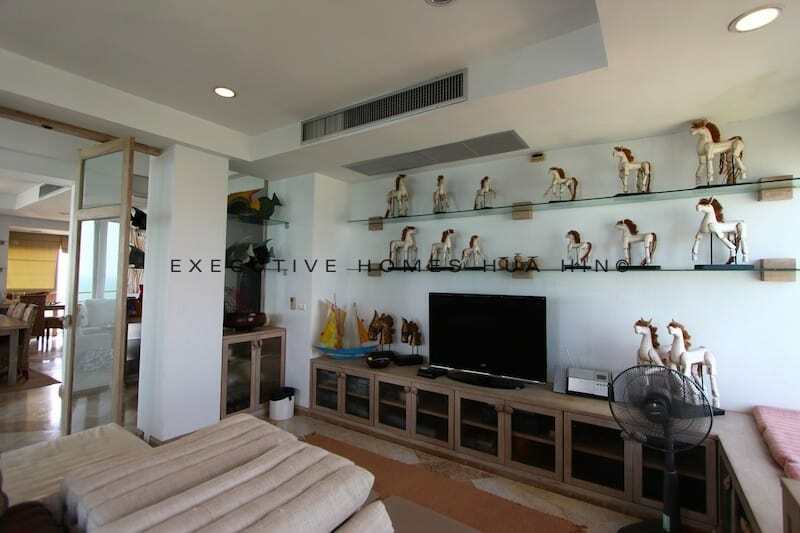 * This condo is not suitable for small children. ** Pets are allowed on a case by case basis.